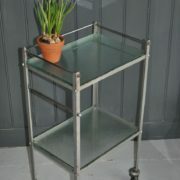 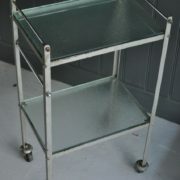 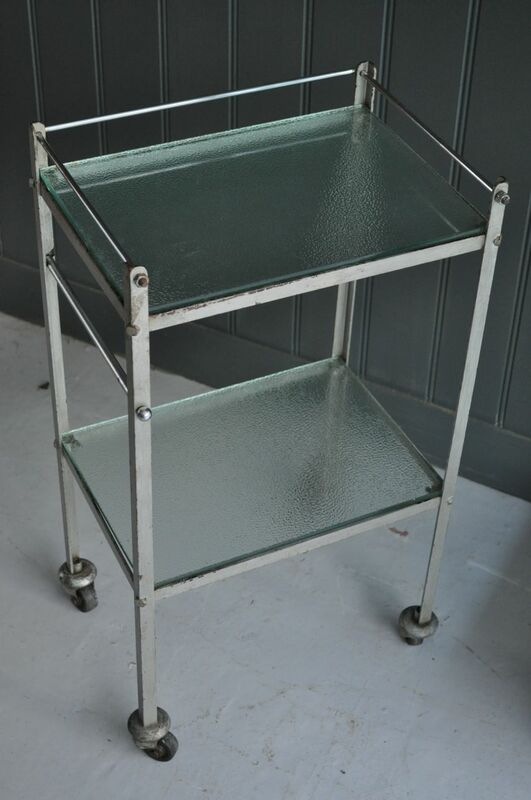 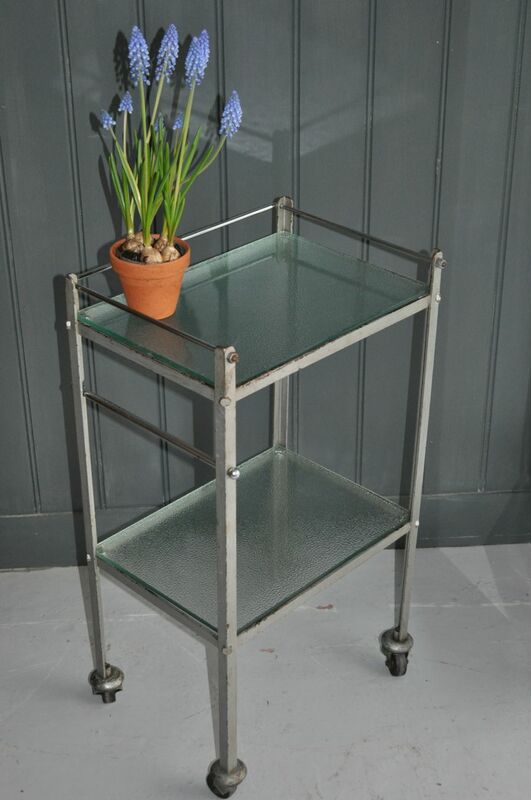 Small 2-tier medical trolley, in original worn grey paint, and with original smooth-running castors. 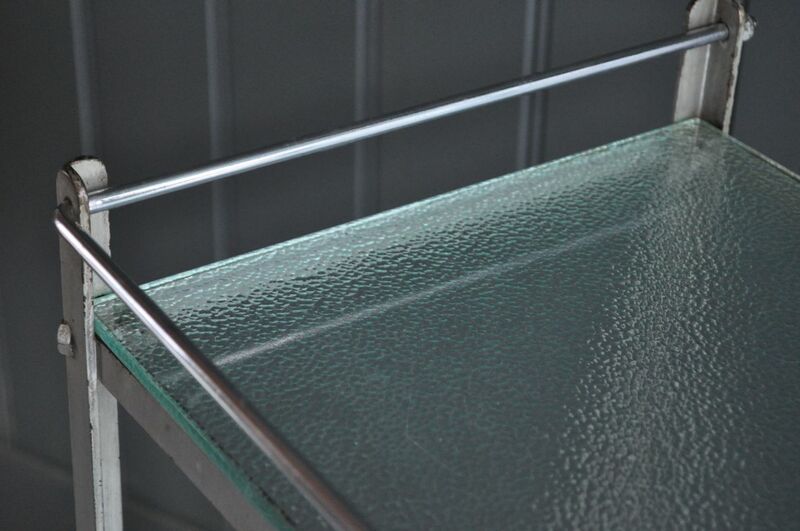 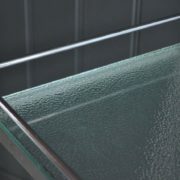 The glass shelves are perfect, with no knocks or nibbles, and catch the light nicely with their polished edges and textured undersides. 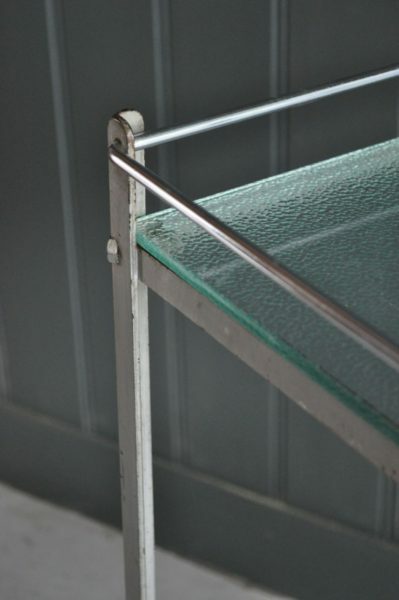 Light wear and loss of paint in keeping with age.